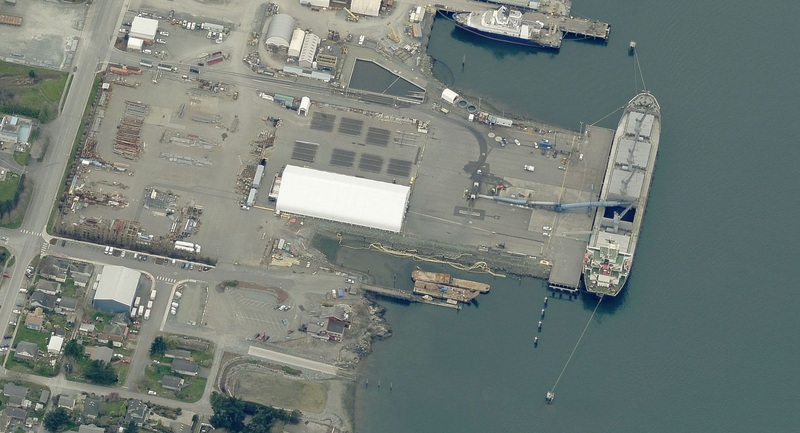 The Anacortes Port Log Yard site is located in the nearshore area at the northern terminus of T Avenue and is bound by the Guemes Channel to the north and Port of Anacortes Pier 2 Marine Terminal to the west. The site was historically used for log hauling from the mid-1960s to 2004, and operations included log rafting and transfer of logs from the water to upland sorting areas. The Port concluded log hauling operations in 2004. Since 2004, the site has been used for storage of oil spill response booms. The suspected source of contamination for this site is the wood debris from the log storage and handling operations. The site is under an Agreed Order executed with Washington State Department of Ecology in 2014. The Port of Anacortes is currently working with Ecology developing the site Remedial Investigation/Feasibility Study (RI/FS) that will lead to the development of the site Draft Cleanup Action Plan (DCAP).